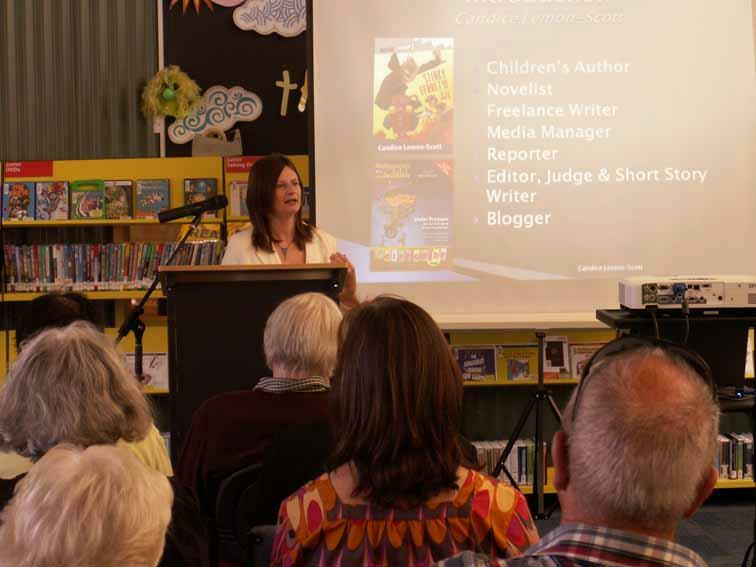 Here’s a quick pic from my session on ‘Getting Published’ held at the Hastings Library last week as part of the Mornington Peninsula Festival of Arts and Ideas. It was a special thrill to have the opportunity to speak at the library I’ve been going to for many years. It was also both strange and wonderful to be speaking from the very place I have spent many hours in. It was here I took my two gorgeous daughters to for weekly Storytime sessions with the wonderful and engaging librarian Gail. So, a quick plug for her – if you live in the area and are thinking of getting your kids down to storytime, I’d highly recommend Hastings Library.